EDIT: I originally published this post in 2017. At that time all of the information was current and correct. As of January 2019, the Kids See Free program appears to have been put on hold. Calling and speaking to my local Theodore & Pringle optical centre I was told that the program will be offered on select weeks throughout 2019. Keep an eye on your local Loblaws/Zehrs/Superstore flyers for when the Kids See Free program will be offered this year. If I find out any further details I will post them here. Have you guys heard of Kids See Free? 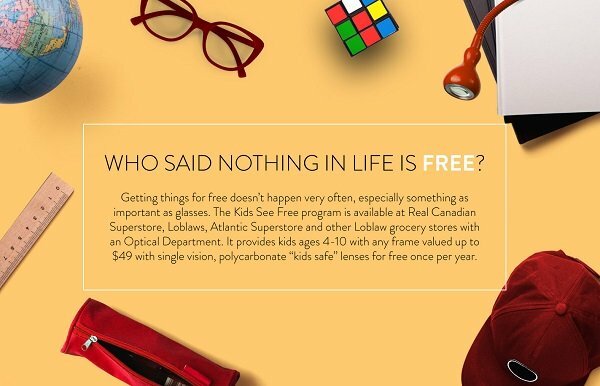 It’s this awesome program by Loblaw that provides free eyeglasses for kids. Once per year, kids ages 4 to 10 who have a recent prescription can get a free pair of eyeglasses. (This program is available across Canada in Loblaw grocery stores with an Optical Department. So, depending on what grocery stores you have in your neck of the woods, you can get access to this program at a Real Canadian Superstore, Loblaws, Zehrs, Fortinos, Independent, Atlantic Superstore or Dominion store with an Optical Department). My daughter and I visited our local Real Canadian Superstore Optical Department to check out the selection of eyeglasses and to learn a bit more about the Kids See Free program. 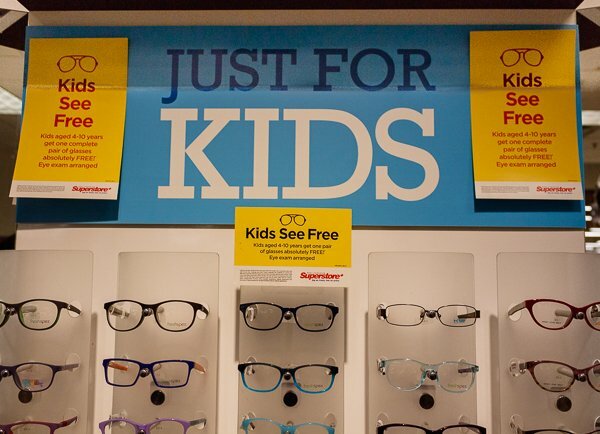 Free eyeglasses for kids ages 4 to 10. First myth busted: You can only get free eyeglasses at certain times of the year. When Kids See Free first launched, the program was only offered during the back to school season. I remember seeing something in the Real Canadian Superstore flyer about free glasses, and tried to get Gracie a pair, but found out I had missed the cut-off date. The good news is, the program now runs year-round. Which is fantastic, because I know my child’s eyes don’t just change at the start of a new school year. She is constantly growing, changing and developing and so are her eyes — and I can now take her to get her eyes tested at a time that works best for us. The Kids See Free program provides children from ages 4 to 10 years old with any frame valued up to $49 with single vision, polycarbonate ‘kids safe’ lenses for free once per year. (If you choose to upgrade the frame or add any coatings to the lenses, you’ll need to pay the difference). Single vision means bifocals or trifocals are not covered. My girl and I actually had a conversation about bifocals before leaving to head to the Optical Department at our local Real Canadian Superstore. 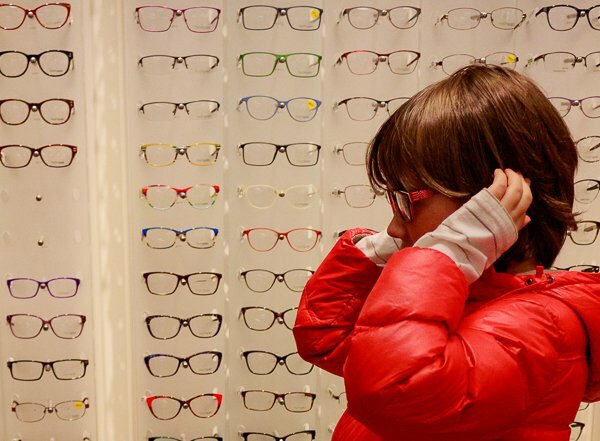 So, when Gracie met the optician she asked her if kids ever need to wear trifocals and I was surprised to find out that I was wrong — some kids do need bifocals or trifocals, but it’s relatively rare. The optician told us that she helps fit eyeglasses for about twenty kids a week and that she may see one or two kids a month that needs bi or trifocals. Dozens and dozens of pairs of glasses. And the optician, Danielle, was incredibly patient. Trying to help her find a “fun” pair of glasses that she would love, but that also fit her just right. What about adult sized frames? If you’re thinking like I was, that it may be difficult to find a $49 frame, rest assured that this price covers the majority of their in-house branded frames. When you get into designer frames, the price understandingly goes up, and you’ll need to pay the difference. But seriously, my kid does not need designer frames — especially when she keeps going through glasses so quickly, needing new lenses every six or eight months! You can get a free pair of glasses through Kids See Free once per year. 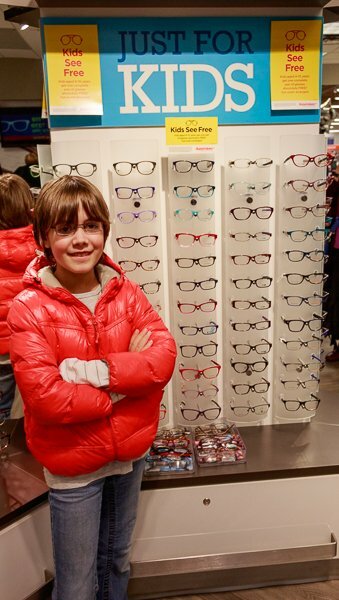 The optician explained to us that there is a 60 day guarantee, that if your child’s prescription changes they will provide a new pair of lenses for free. To ensure your child gets the right glasses to help them see clearly, you need a current eyeglass prescription, one less than 90 days old. This means, once your child has had their eyes tested by an Optometrist and if they need glasses, don’t wait too long to fill the prescription in-store. The Canadian Association of Optometrists recommends that children have their first eye exam between six and nine months old, their second between the ages of two and five and then every year after starting school. Yearly eye exams are SO IMPORTANT. School-aged children should be getting their eyes checked once a year. Your baby should have her first eye exam at six months and then every year thereafter. Eye exams can catch vision problems but they also help detect signs of other conditions, like diabetes. 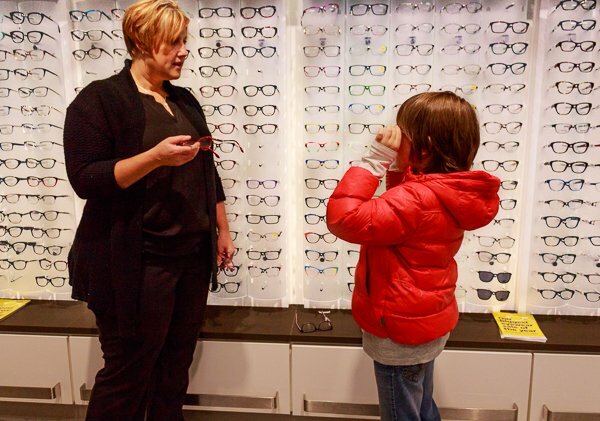 Keep in mind, you can book an appointment with an Optometrist at your local Loblaw Optical Department to make sure your child is getting the thorough exam they need. So much of learning is visual. A child’s eye vision has a huge impact on how they do in school (and in sports and after school activities as well!). The optician we were chatting with pointed out an interesting statistic to me, “1 in 4 children have a vision problem that affects their ability to learn.” That’s 25%. 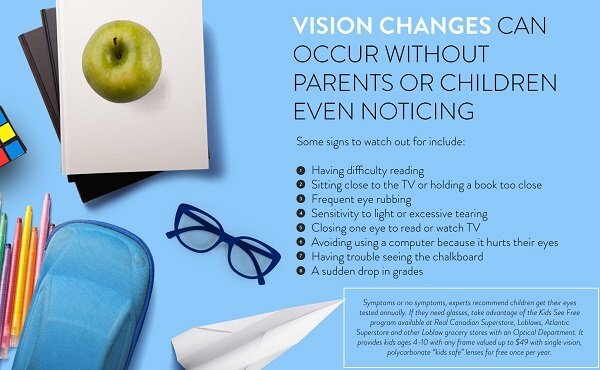 25% of kids have vision problems that can affect their learning or lead to behaviour issues. That’s huge. And that’s why Loblaws started this program. Every kid should be able to see. Cost shouldn’t be a barrier when it comes to children’s vision. Grace went from 20/20 vision to needing glasses in under six months, and then another new prescription about half a year later. At first, the fact that her eyes were changing so rapidly scared the heck out of me. But apparently it’s pretty common with young kids — a growth spurt or two can bring big changes to the eyes. If you’re in Ontario like me, OHIP covers a free comprehensive eye exam once a year for children 19 years old and under. Free eye exam + free glasses = no excuse for why every child shouldn’t be able to see in the classroom. What a wonderful program! There is no reason for a child between 4 and 10 to go without glasses. Thanks for letting everyone know. I never knew about this program but its great and one that I will have to spread the word about. I went to try to get my son glasses today and waas told they are not free? I’ve been trying to look into this Chelsi. It appears that they may have changed the program for 2019. What I read in one place is that this year the free glasses would only be available on certain dates (possibly May 1 – 31 and Aug 15 – Sept 11, but unconfirmed). I intend to update the post when I have confirmation on the details. I am so sorry to hear this. When they rebranded and changed the name I worried that they might also cancel the program, which has been such a huge boon to so many kids. I hope they reconsider and reinstate it. I just called my local store, where my daughter had received glasses in the past, and was told that the program will be offered on select weeks throughout the year. Head office will decide the weeks. The indiividual stores do not know when it will be. Keep an eye out in your local flyers for Zehrs / the Super store, etc. Again, if I find out further details I will post them here. Hope that helps! Hi there, Greetings from the UK. 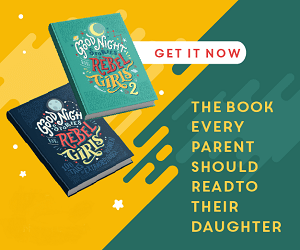 Lovely story about your daughter Grace – and so reassuring! Our son Dan also needed glasses at age 6 and a half. Like Grace, we’d taken Dan for an eye test when he was five and there were no issues then. He is now just turned 9 and has now had four different prescriptions in that time, The last time was just over a month ago, so two and a half years. It was R-0.75, L-0.50 in October 2017.. Within six months he needed a new prescription and two more since tgen. When Dan went last month, he was up to R-2.5, L-2.25. His optician says it’s all entirely normal and he will grow out of it. Thankfully, like your Grace, our Dan loves his glasses and how they help him to see well. I hope it’s still going OK with Grace! Has she also needed new glasses? Yes, much like your son, she seems to neeed a new prescription every six months or so. Our eye doctor pointed out that she is just picky about her vision and likes things really crisp. She is due to go back soon, she had to ask to be moved to the front of the class again, which means it’s time again.